It was my great pleasure, on 23rd March, to exclusively announce that Graveney Gin would be appearing as an exhibitor at Gin Foundry’s Junipalooza Festival 2019. But with the Junipalooza 2019 London site maps now live on https://www.junipalooza.com/london this leaves one important question. With so many great brands to visit at the festival, and so little time, why should you be planning to make the Graveney Gin stand your destination of choice? Fear not! Help is at hand. To help you get to you a little better acquainted with Graveney ahead of the big day, I chatted exclusively with Vic Christie to get the low down on the gin, the highs and lows of being a one woman operation and why Gorillas are her ‘spirit animal’! In this two part ‘Meet the Distiller’ piece, I hope that you’ll get to know and love the brand, and your ‘ginterest’ will be suitably peaked ahead of tasting it for yourself. 1. Hi Vic! So Graveney Gin. What’s it all about then? Hello Matt! So where to start. That’s quite a big question! I guess my Mother is the reason that gin is my ‘go to’ drink of choice (sorry Mum! )… she drank G&T’s when I was younger & I remember the refreshing smell. It seemed like such an unpretentious drink, and that really appealed to me. So I was this weird young adult ordering G&T’s at the bar, rather than an ‘Alchopop’ (though I did have a few of those too!). And I began to notice that there were a few choices of gin to choose from behind the bar. And that’s what got me in to some of the smaller brands at the time, such as Sipsmith and Portobello Road. So on one of my Birthday’s, after doing a little research, I decided to take my boyfriend (now my husband), to the Portobello Road ‘Ginstitute’ to make our own gin. Coming away from that experience, I turned to my boyfriend and said ‘if I could do anything in the world, making gin would be my dream job’. To which he said “why don’t you contact some distilleries and find out if they’ll teach you how to make gin?!”. Now, he’s an incredibly smart man…but I thought that was the stupidest thing ever! I thought that nobody would ever share their ideas with me. But I did contact them, and they did open their doors to me. And I was totally surprised by how friendly and welcoming everybody was! They all had a genuine pride and passion for their gin, which was so refreshing to see, and I instantly fell in love with the people behind the gin as much as the actual liquid itself. So the seed was planted really, and from there I started experimenting at home. All from my kitchen, and not from a bathtub as everyone makes out – it’s a lot cleaner than that! Tooting is made up of Graveney and Furzedown. I didn’t want to call it ‘Tooting Gin’ – that felt a little bit too obvious. But I thought that Graveney would resonate with people in our area. I’ve since found out that it’s also an area in Kent, as well as being a very popular surname (who knew!). 2. Why give up a steady career in banking to open up a gin distillery (on your own!)? I didn’t intentionally open up a gin distillery…when I think of the words ‘Gin Distillery’ I think of those beautiful big Stills and professional outlooks like the ones down the road from me, at Hayman’s Gin. When I first started, it was a 5 litre Still sitting on a solid kitchen counter top (ruining the new kitchen by the way!) and it was just a hobby that I was doing after work. Even now, I look at my two VERY HARDWORKING 30 litre Stills and don’t see it as a gin distillery. I call it a kitchen still weirdly enough! When I started to share my journey on social media, people just assumed that I must be something like ‘Bombay Sapphire’, but based in Tooting! One would be to myself – because I had to put through at least one sale! My brother was coming to help, so he would buy the second one – because he had to, he didn’t have a choice! And then I had three friends who were due to see me during the festival, so I just assumed they’d end up buying a bottle of gin purely out of pity! So I was a little bit taken back when I ended up selling 120 bottles that one afternoon. So much so that my husband had to keeping going back and forth to the place that we were staying (a 400m walk) to hand label extra bottles and throw them in to his backpack to keep up with demand! 3. What goes in to Graveney Gin? And how long did it take you to land on your final recipe? So, I developed it probably over 10 months to a year. Only because I had no pressure – I mean I wasn’t launching a business. I was launching something for myself. So if I had some time at home, I’d put the Still up and try a distillate. How I came up with the recipe was to find out what went in to my favourite gins, listing the ingredients, and kind of talking to myself saying ‘well that’s great, and that’s cracking I’ll put that in’. I love nutrition, and happened to be eating goji berries at the time. As they’re a ‘Super Food’, I decided to make a pure distillate out of them, and thought it was absolutely beautiful and loved how sweet it was. I knew that the star of my gin had to be juniper, and getting that juniper profile was key. Then pure distillates of angelica root and orris root were added. The goji berries went in, alongside fresh orange. Most of the gin world told me I couldn’t put fresh ingredients in; I thought ‘stuff that’ I’m going to give it a bash. Then I hand peel all of the pink grapefruits and dry the zest before adding. Finally, babaub fruit, the ‘Super Food’ and African fruit, goes in to it, which reminds me of my childhood and those massive African trees. It’s essentially a mix of things that I just find really delicious. There are 7 organic botanicals in total. The organic element is really important to me, because I care about what goes in to my body and this was essentially a gin that I was producing for me! I also have a huge amount of care for the environment, so it’s important to me that my business is as clean as possible. I ended up with two recipes that I really loved and I couldn’t choose between them. So I did a social media campaign with Tooting to help decide; the Graveney Gin that we know and love today is the winning sample! 4. How did you end up at Tooting Market? And where is your current set up? I ended up in Tooting Market because my kitchen was no longer a kitchen – it was a sort of ‘Distillery Kitchen’ and I was tired on not being able to cook. I was having to take the deliveries of pallets worth of bottles that were arriving a my first floor mezzanine flat (which I still live in at the moment), carrying 500 of them up a flight of stairs (and breaking about 50 of them in a go!). So I needed a space, so that I could get my house back! I wanted to stay in Tooting, because it’s a Tooting Gin. I had approached Tooting Market a couple of months prior to getting in, but there was no space available. But with the help of Twitter, when space became available the Market Manager contacted me and gave me a week to decide whether I wanted it before it would need to be given to someone else. …So it was quite frightening to have to make that decision in such a short period of time, in terms of having to give up my day job and be there full time. The criteria of having the space on the Market was that you had to be there Mon – Sun during the day. So that was one of my big pushes to resign. I wanted to open up as a gin distillery on the market, with my bottles and pallets, and just have it as a work space. But over time, as more people started to visit and wanted drinks instead, it turned in to more of a bar and less of a distillery… So I moved the distillery element to a space in Merton Abbey Mills, which is one Tube stop down in Colliers Wood. I’ve still got my bar inside Tooting Market, which serves Graveney G&T’s and Cocktails. But myself and my two Copper 30 litre Stills are based in the new location. It’s technically about 2km away, and ultimately I would love to get back in to Tooting – it’s just trying to find the space! 5. How many bottles can you get from a batch? And how often do you distill? I get 30 bottles per batch, and I tend to put both Stills on at the same time, so there’s a maximum of 60 bottles of gin produced each time I distill. I actually have the capacity to distill twice a day – but because demand isn’t currently at that level, I am running the Stills twice a week, making 120 bottles. The majority of my gin goes to the Tooting bar. The rest of goes to local bars, postal deliveries and to other suppliers (both online & shops/bars). I work to try and fit my personal life in, and look after my son. So I’m at the distillery from Mon – Weds, distilling on the first two days and doing the deliveries on the third day, alongside doing the ordering for the bar, doing the ordering for the distillery, emails, updates to the website and meetings. So whilst it may be small scale, it’s also a pretty busy and hands on approach! 6. How excited are you to be showcasing Graveney Gin at Junipalooza 2019? SOOOOOO excited! And incredibly nervous. This is my second Junipalooza, though I didn’t actually do last years event, as I had just given birth to a little person! I suppose I was a little intimidated the first time I attended Junipalooza. I went in kind of haphazardly, with a ‘wing it’ style. When I got there I was surrounded by all of these distilllers that I admired. They’re my ‘Rock Stars’ really! So instead of having Brad Pitt on the wall, I guess you could say I have gin distillers! The festival is made up of very long days and the first time I ever did it, my throat was hurting so much just from all the talking! I’m hoping to have at least one new gin there as well. And I feel a little more prepared this time! And I’m really excited to get back with all of the other distillers – it’s a lovely opportunity to catch up. I can’t wait to see what people think about this little Tooting brand! Huge thanks to Victoria Christie of Graveney Gin for my complementary bottle of gin & Copa glass, and for taking the time to record a full length interview for me! 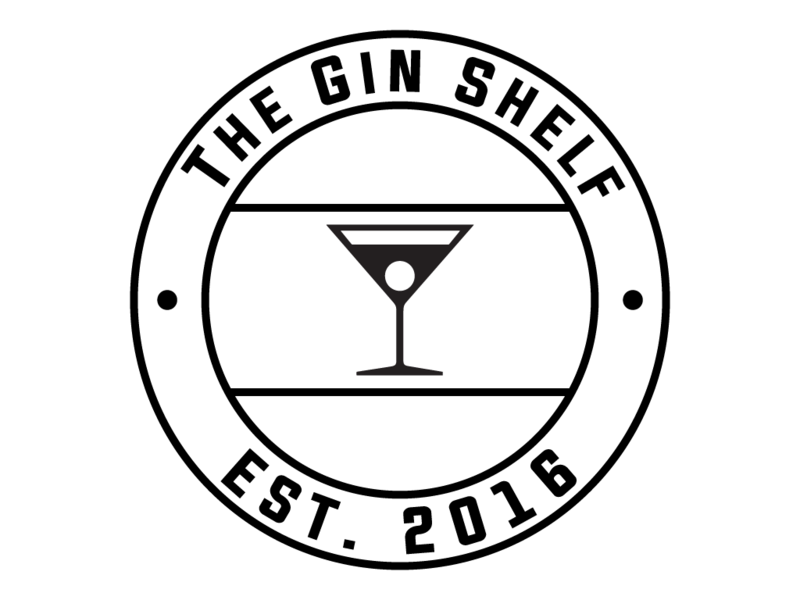 Part two of the ‘Meet the Distiller’ Q&A will be posted via The Gin Shelf very soon, so you can continue to get to know the friendly face behind the gin.